Without colors, the world is pure transparent, imagine that. But with colors, the world is purely alive. Each color has a meaning to us like, Red. We all know that Red is the color of fire and blood, but by the others the meaning of red is love. The meaning of colors can vary depending on culture and circumstances. So I will share with you the meaning of each color in base in psychology. Red is the color of energy, passion, action, ambition and determination. It is also the color of anger. Having red as your favorite color identifies you as extroverted and optimistic, courageous and confident. Orange is a very bright and happy color with many positive connotations such as warmth friendliness and happiness. Orange offers emotional strength in difficult times. It helps us to bounce back from disappointments and despair, assisting in recovery from grief. With the meaning of colors, in color psychology, yellow is the color of the mind and the intellect. It is optimistic and cheerful. However it can also suggest impatience, criticism and cowardice. Yellow is creative from a mental aspect, the color of new ideas, helping us to find new ways of doing things. It is the practical thinker, not the dreamer. Green is a bold color that had both positive and negative connotations. Brighter greens stand out and are more positive signifying beginnings and to go, where as darker greens represent jealous, anger and envy. Blue is a calm and peaceful color but can also carry negative connotations of feelings of sadness and upset. It can suggest loyalty and integrity as well as conservatism and frigidity. Purple has many positive connotations such as being kind loving and compassionate. It is also the color or royalty, feminine and romantic. Pink is a beautiful warm love color. It can help you feel the vibration of tenderness, love and sweetness. In color psychology pink represents hope. Suggests goodness, purity and innocence. The individual who choose white as a favorite color seeks excellence and enlightenment in all philosophies. White is color at its most complete and pure, the color of perfection. The color brown is a serious, down-to-earth color signifying stability, structure and support. In color psychology, brown is honest, genuine and sincere. It relates to the hardworking, the industrious and reliable, with both feet planted firmly on the ground. My favorite color is BLACK because it suits my personality. I'm so secretive and the unknown one, I like the dark sides sometimes (it depends on my mood). And one of the reasons why I love the color black it is because it's not painful in the eyes. It makes my eyes, relax and for me black is the happiest color. 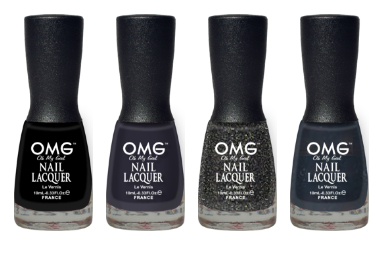 So my favorite OMG Nail Lacquer is Black Out. How about you? What is your favorite color and why? Share it to us! Don't forget to like us on our Facebook page and share them to us. 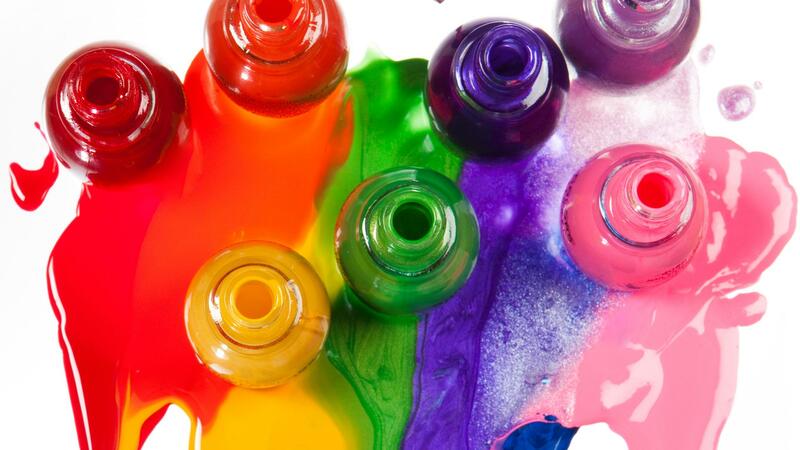 Also follow us on Twitter and on Instagram for more nail care tips and tutorials.